Looking through some of the more obscure notes and jottings, and indeed drawings and pamphlets, there are the oddities that make you smile or to reflect on events past. How they came to get a mention isn't always apparent, sometimes it was something done on impulse. When the foundry was situated in Waterbeer Street (prior to 1939) there was an area called the Pattern Loft, where, one presumes, the wooden patterns that make the moulds were kept. Henry Holladay records the following inscriptions that were to be found there. 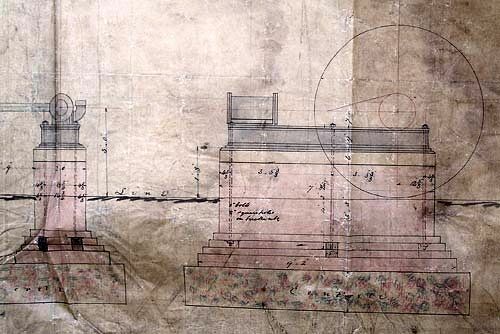 The Drawing is part of the plans for the foundation to be created for the Stationary Engine. Commencement of the laying of the plinth and foundations on which the engine was to sit were commenced at the tail end of 1879. Curiously enough I can add to this story - Garton & King purchased a new Ransomes Simms & Head Stationary Engine in December 1879, according to the plans it was necessary to create proper foundations for 'the beast' and by Easter the Engine was in place. 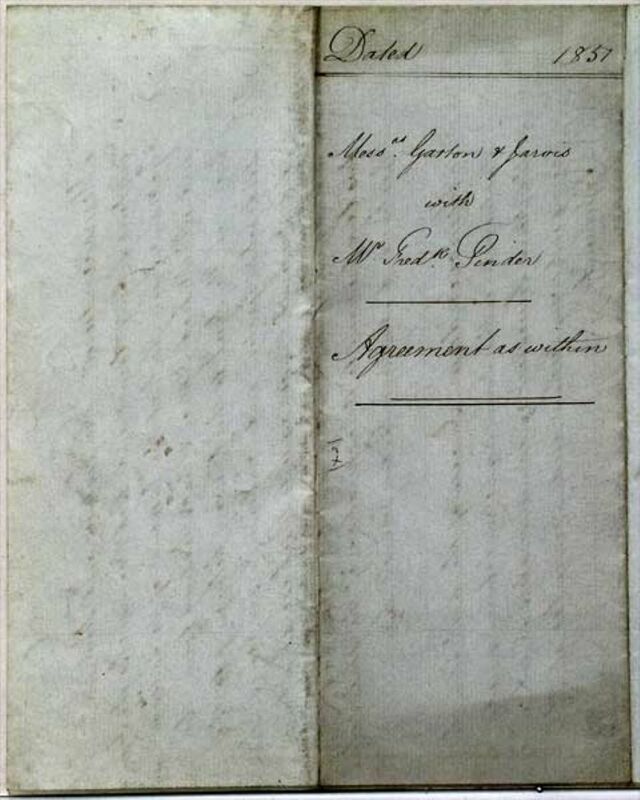 According to the back of the cloth covered plans for the foundations Mrs King, the wife of the then owner was privileged to, or persuaded to, start the Engine and this she did on Easter Tuesday 1880. She was obviously a cut above the average gentile Victorian Lady of the day and had a strong right arm as I should imagine a goodly helping of muscle was required to 'wind it up!' This would be the engine that turned the pulleys that drove the belts that turned the shafts that operated the lathes and milling machines etc etc. Artists impression of the New Horse – Old Horse on Left, or was it right? – no definitely Left. 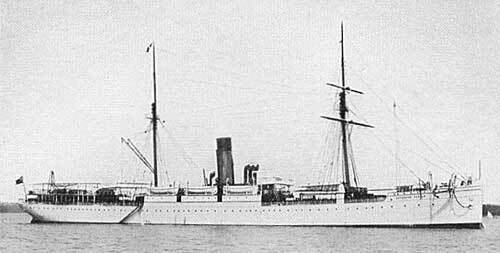 The SS Drummond Castle (3700 tons, built 1896) left Cape Town bound for London on the 28th May under the command of Capt: W.W. Pierce. Off Ushant, Brittany in thick fog and five miles off course she struck rocks and sank. Actually 243 persons drowned, only 3 were saved (by Breton Fishermen - who pulled scores of bodies from the sea). In 1996 the people of Moshene and Ushant, a poor region of France, commemorated the centenary of this disaster as, amongst the many shipwrecks along that coastline this had left the deepest mark and graves to the victims abound in graveyards along the coast. Appeals by the Mayor to British Representatives and descendants of the victims families to attend the ceremony were ignored. Acknowledgement to thompsononename for this information. On to a lighter note. 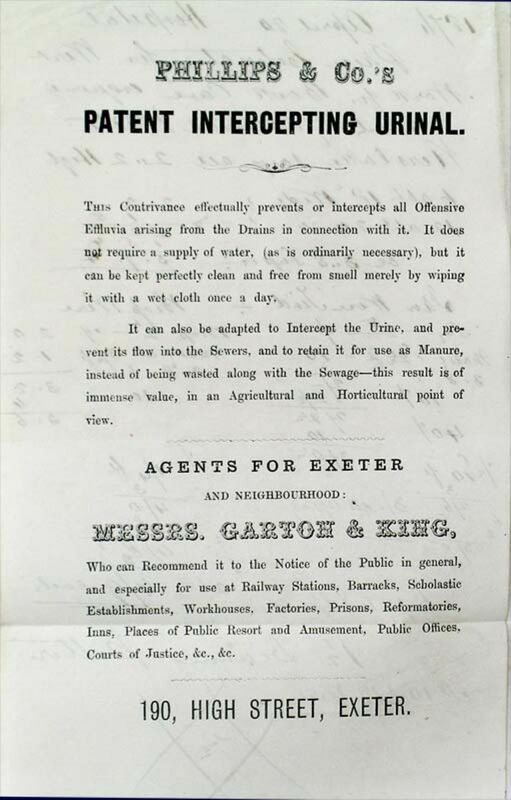 "Messrs Garton & King, Ironmongers, Ironfounders and Engineers,have the pleasure to announce that the Firm will be joined on the 1st of October next, by Mr Hugo Holladay, of Faversham, a Gentleman of large experience in the business of General, Furnishing, Builders'and Manufacturing Ironmongers, and of intimate acquaintance with all models and progressive methods of business. The style of the Firm will not be altered but the Business will be conducted (as heretofore) under the name of Garton & King. The long record of successful business with which the Firm has been favoured evokes the warmest expression of gratitude, and it is confidently hoped that past experiences may justify this appeal for a continuance of the confidence and patronage so generously extended in the past. The undoubted reputation of Garton & king for Work of the Highest Class and for Goods of the Best Quality may, they trust, afford a fair basis for their endeavour to promote a wide extension of business under the new partnership. The Ironmongery Business proper will receive the special attention of Mr Holladay with the co-operation of the present efficient staff. The Engineering and Ironfoundry Department will continue under the direction of Mr King, with valuable detail management of the present officers of the works. The Developments of recent years in the Manufacture of Stoves and Ranges, and in the important works of Domestic and General Engineering have been followed up by the Firm with untiring care and study. No effort will be spared in the future to render their methods in these departments, and in the Constructional and General Ironfoundry, such as to command the patronage of Professional Men, Contractors, and their valued connexion. Moving on to more Sanitary Matters here is an advert promoting ... wait for it ... hold on! PHILLIPS & Co.'S PATENT INTERCEPTING URINAL. Apparently all one needs is to give it a wipe with a wet rag and save the contributions for use on your allotment. In 1911 it seems the Exeter Council operated a number of Traction Engines and like all machinery was subject to wear tear and breakdown. This is a copy from an entry for the 21st September in the Foundry Book. Many volumes exist of this type of ledger. 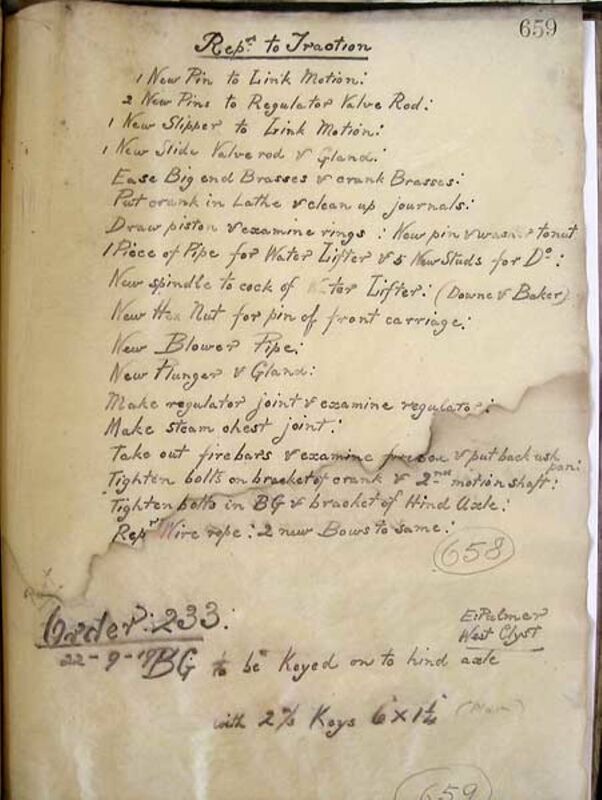 All incoming engineering or foundry work was recorded on the flimsy tissue pages. It seems the Exeter Town Council tendered out their repair work even in 1911. "The Garton & King Catalogues will be used in future pages on this website to show some of the varied goods and wares available from the front shop. 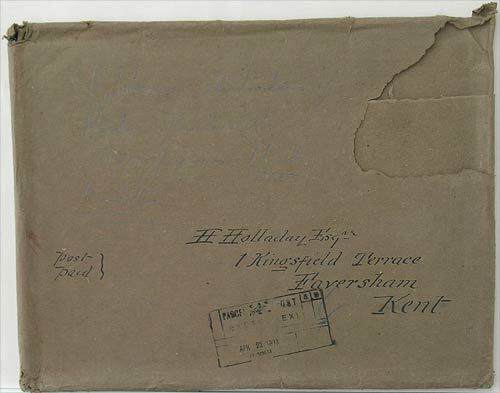 This image shows the packageing the Company must have made up that included Brochures and Catalogues and Leaflets that they then sent to Mr Hugo Holladay immediately before he joined the Company, being heavily involved in the Ironmongery Trade he doubtless would be comparing the business of Garton & King with his (then)current employer Henry S. Tett of Faversham, Kent. The address on the packageing was his home address." 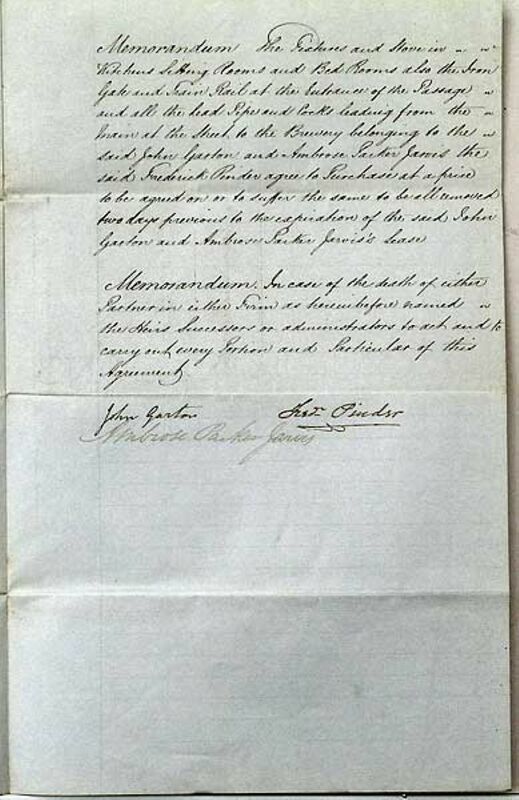 In 1851 J.P. Jarvis and John Garton entered into a rental agreement with a Fred Pinner for part of the Foundry Premises in Waterbeer Street. The Rent per year was to be £74 and included the whole of the area that was situated behind and was accessible from No 25 North Street by a passage; it included lofts, three tenanted cottages, a yard and a portion of a dwelling house occupied by the said Frederick Pinner, who was, by trade and profession, a Brewer. 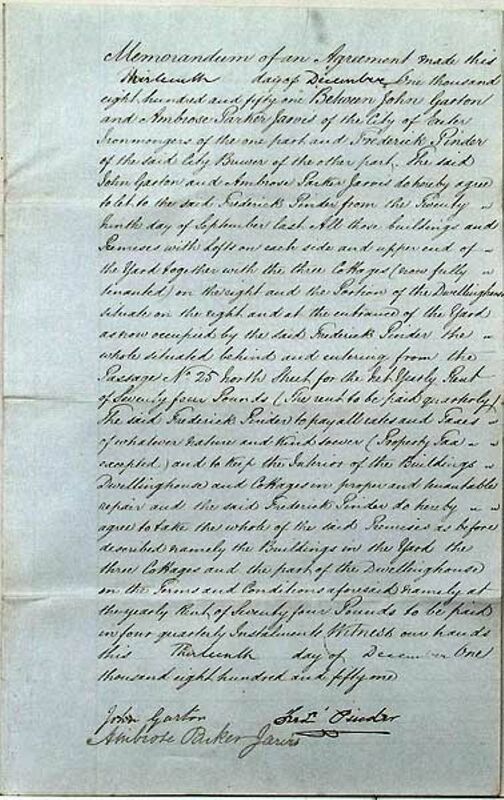 The three page document is shown left. 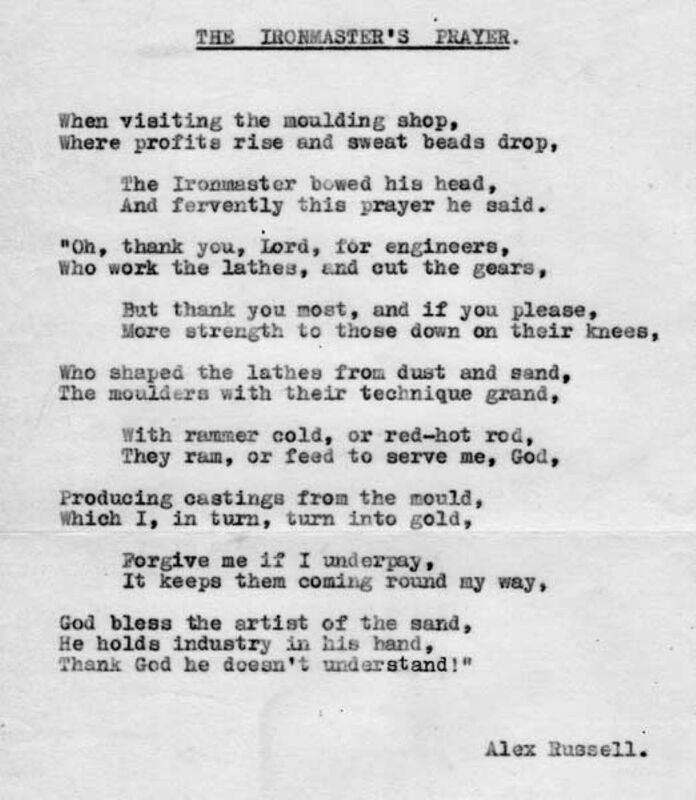 Here is a Copy of the The Ironmasters Prayer by Alex Russell. It appeared amongst other papers but I have no idea when it was written or who Alex Russell was. The last item for the time being is bound to ring a bell! The picture is of a large metal frame which has been identified as being the frame used in a bellfry to hang church bells from. With absolutely no details to go on the story would come to a halt almost as soon as it had started but the internet, whilst often frustrating and sometimes leads you off on a wild goose chase this time came up trumps. 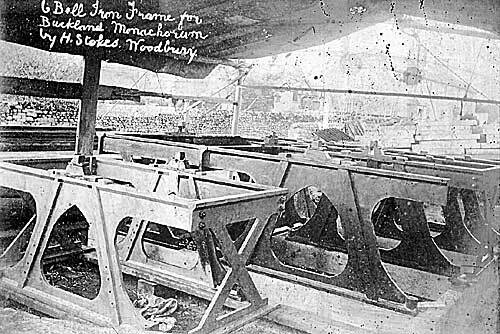 The photo provided by Mathew Stokes of Woodbury from the days his grandfather Harry Stokes ran the family business showing almost an identical photograph but with text indicating what the product is and where it was destined. The second picture was sent to me by Roger Stokes, the grandson of Harry Stokes, Bell Hanger, Woodbury near Exeter. The pictures appear identical with the exception of the writing on the Harry/Roger Stokes picture which goes to complete the story. The pictures were taken at Harry Stokes' Fernlea Yard, Woodbury, Nr Exeter and the Grandson, Roger, was born in the house beyond the canvas awning. The frame is for six bells and the customer was the Reverend E.J. White of the Buckland Monachorum Bell Restoration Committee. 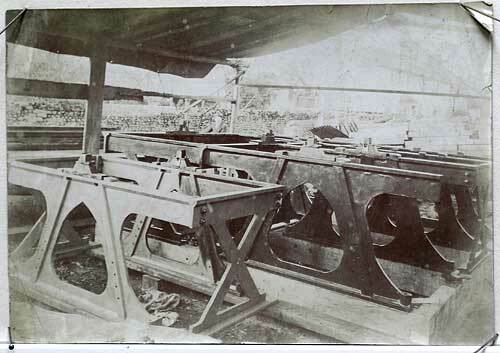 The work of replacing the existing Bell Frame was carried out in March 1906. Many thanks to Roger Stokes and Mathew Higsby for their invaluable sleuthing. For the moment that's it (September 2009) keep a look out on this site for other features, we are trying to organise it in such a way that you can easily identify the latest additions - feedback is always welcome - go to the About Me Pages to find out how to contact me.